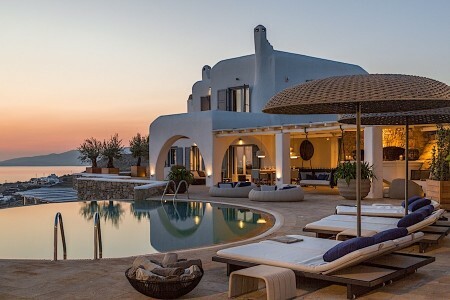 Villa Aerina is a Cycladic style private property, offering panoramic view of the new harbor, Mykonos town and breathtaking panoramic view of the sunset. Villa Lounda is a 707m2 cycladic style private property, offering panoramic view of the new harbour, Mykonos town and breathtaking sea view and sunset. 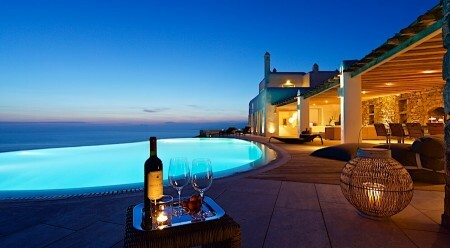 Villa Semila is an exclusive Mykonian villa with breathtaking view of the magical colors of the sunset and Mykonos town. It is located in the west side of Mykonos, Tourlos, just 1,5Km from the Town.